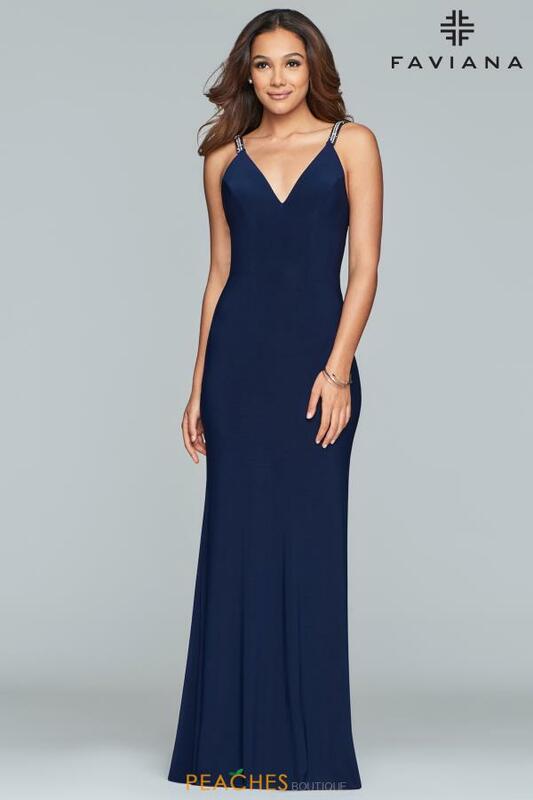 Elegance exudes when you wear this simple, chic prom dress S10267 by Faviana to your senior prom. This stellar gown features a fitted bodice with V neckline and beaded straps that crisscross over a low V back. Made in body conscious jersey fabric, the long slim skirt has a back sweep train. See more amazing Faviana gowns at Peaches Boutique.